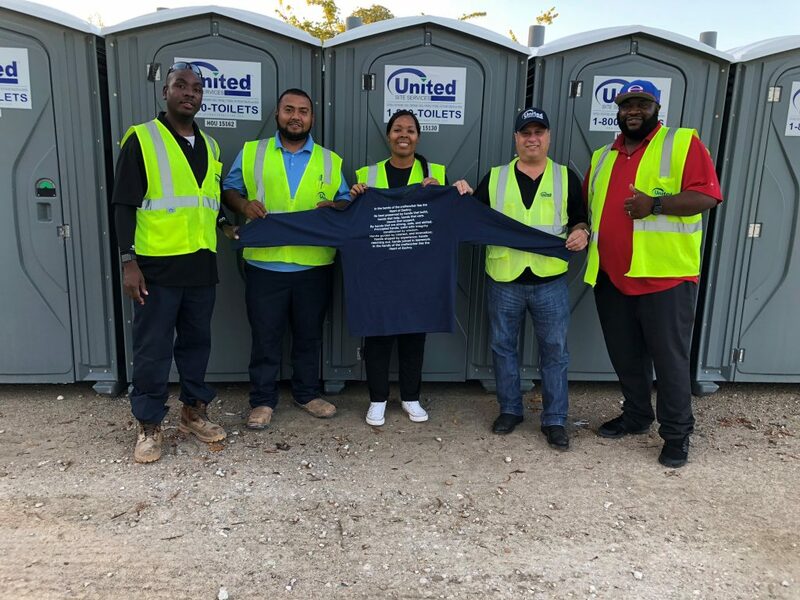 Something great is happening in the heart of Texas, and it’s the result of the hard work and diligence of the United Site Services team in our Houston Branch. The USS team was recently awarded the Heart of Zachry for its outstanding safety record at the pretreatment facility at Zachry’s Freeport Liquefied Natural Gas site. More specifically, the Heart of Zachry is awarded to vendors that have ZERO safety incidents for the entire year. The spotless USS record is very impressive given the size of Zachry’s Freeport site, which has over 800 restrooms, 400 sinks and 50 holding tanks. That’s big, especially considering the project started with vacant land as far as the eye could see. Today, it’s growing into a state-of-the-art facility and is scheduled for completion in 2020. Better yet, USS was also cited by Zachry as the Most Improved Vendor. That’s a real feather in the cap for the USS Service Technicians and Support team that have been 100% dedicated to serving the facility seven days a week, twice a day. The Heart of Zachry Award is not only recognition from a valued client, it’s a source of inspiration for all USS Associates to strive for excellence in every job they do. Every member of the USS team at the Zachry facility can take pride on their accomplishment, and serve as an example for the USS family nationwide. Thank you for a job well done!